Fallen Heroes Memorial: Army Sgt. Gary A. Eckert, Jr.
Army Sgt. Gary A. Eckert, Jr.
Eckert died in Balad, Iraq, from injuries sustained earlier that day in Samarra, Iraq, when an improvised explosive device detonated near his HMMWV. He was assigned to the Army Reserve's 983rd Engineer Battalion, Monclova, Ohio. Died on May 8, 2005. Please send information, photos, and corrections for Army Sgt. Gary A. Eckert, Jr..
"To consider obtained on your own website however establishing therapy simply just a tiny bit of submits. Pleasant technique for prospective upcoming, We have been book-marking at a stretch protected kinds quit goes up with each other.토토사이트"
"Hence it is better you have to affiliated understand when setting up. It is easy to put up a lot better apply for right away. VIP Financing Solutions Reviews"
"You are not forgotten thank you for my freedom"
Its thunders from the drum. His gallant soul to God." RIP, SGT Gary "Andy" Eckert,"
May 8, 2005 US Army"
"Dear andy, i was thinking of you today and came to this message board. To a great friend, soldier, and father. Miles looks exactly like you when we were in school.just wanted to let you know that we have not and will never forget you. Love forever sent to you and your family." I was brought to tears on Sunday when I saw your story on TV. I'm 44 now but I am just like you. My Dad died in Vietnam when I was only 6 months old...I never got a chance to meet him. I just wanted to write you and let you know that you are not alone and what you did with that $20 dollars was pretty cool :) To this day, I still tear up about my Dad but that's OK...our Dads and their families have made the ultimate sacrifice. God bless you and your family and stay strong. "Andy, Your son is amazing. http://www.youtube.com/watch?v=LjB3eVPWN1A"
I still think about you every single day. I can't listen to some songs without crying. I often think about how different some things would be if you got the chance to move here like you wanted to. Having my big brother around to protect me would be great, but I know you are doing that from heaven. I found that it helps wearing a necklace with your picture on it...when I get in tough situations I look down at it and know I'm never alone. I love you. Thanks for watching over me. As long as I am alive, you will never be forgotten. I know everyone else here thinks of you everyday too. "Remembering you on Father's Day ,Andy,I will always remember you.My family will always remember you. "Love is but a moment that lasts unto Eternity." "We all still think about you and the way you touched our lives, even if for a brief moment." "“Honor and Remember” - “Project Compassion” We love our Soldiers! We love our country and we cannot express enough love and compassion to the families of our fallen heroes. War does not discriminate - It breaks our hearts to see the faces of the fallen. We want to give this gift to you. We are a 501c3 nonprofit organization! Over 1,600 portraits have been completed and shipped to the parents and or spouse - at no cost as this is a gift from one American to another! "As I face another May 8th, I am reminded yet again of the sacrifices that are being made daily by our members of the armed forces. It has been two years ago today that Andy left us and I feel a greater sense of loss now than I ever have. At the time of Andy’s death, I could only feel the loss and gratitude a soldier feels at the loss of another soldier. As time has passed, I have learned more and more about Andy the Man and SGT Eckert the soldier. I was privileged this past year meet a dear friend and leader who loved and admired Andy tremendously. It was by happenstance that I attended a leadership development class conducted at the National Simulation Center at Ft Leavenworth KS. The focus of the training was “Experiences in Operation Iraqi Freedom 2003-2006”. An Army Major was giving a briefing on his unit’s roles, responsibilities, and experiences while in Iraq. He was the Battalion Executive Officer of a Heavy Engineer Battalion and I was nearly knocked over when I realized that his unit was the one Andy was assigned to. I approached him afterwards and asked him if he knew the name on my hero bracelet. A look of shock overcame his face as he stated, "Andy and I were close friends". I immediately felt a bond with him and had a strong desire to learn more of Andy, the unit, and the environment they worked. In the subsequent weeks we had a number of long discussions and as a result, I feel closer to Andy today than I ever have. I will continue to honor Andy daily with the wearing of my Hero Bracelet and preserving any and all tributes to Andy so that they will never be lost to the world and stand as a reminder of the great man that Andy was to so many people. God always seems to take the best of the best. for pride and protection of those worldwide. They can’t understand why your life had to end. I still can’t believe that it was your time. A military funeral is what you deserved. Your wife received a flag in a nice little case. The funeral and service were done with such grace. Our wonderful Andy that was so generous and kind. They must realize that it isn’t really the end. To make sure their world is a much better place. Written for a great man that gave his life for the freedom of others. Sgt Gary Eckert – Army Reserve – 05/08/05"
""SGT Eckert was a great soldier, and friend. He always put his fellow soldiers first, and always talked of his family, his wife and daughter. I remember long days, driving in a dump truck for hours each day, with him in the passenger seat, and we would talk for hours about our children, how things were going at home, and just about anything else. He was a great friend to us all, and to this day I think about him almost daily, and cannot help but become saddened when I think of the loss that we, both his family and fellow soldiers, have endured, the loss of a great soldier, and a fellow man." "Andy, it's Ally, I just wanted to let you know how much Jessie, Stephanie, Mom, Dad, and I miss you. You will NEVER be forgotten. I had so many unsent letters to you that I wish I got a chance to send. I am so proud of you, you had a lot of courage. You and all of the other soldiers that have fought in the war should be proud. I love you so much. "As I awoke this morning, the first thing that was on my mind was today was 8 May and what a day of remembering it would be. I can not believe it has been a year since Andy was taken from us. There is not a day that goes by when Andy does not come to mind. I cherish the moments I get to spend with people explaining the meaning behind my Hero Bracelet memorializing the life of Andy. I proudly wear Andy's bracelet each and every day as a constant reminder to myself and everyone around me of the sacrifices made by Andy and his family, as well as those like him that stand in harms way so that each of us may enjoy freedom and liberties we have. I will always keep Tiphany, Myles, Marlee and all of Andy's family in my thoughts and prayers and pray that time will help to heal the feeling of loss you have all endured. Andy is still a hero and always will be." "As a fellow classmate of Andy's from Anthony Wayne H.S. I just want to say that he will truley be missed. I was friends with Andy only a short time but he really touched my life. He was thoughtful, caring and just a great person all around. I pray that his family will be able to remember Andy through their memories and that his precious babies are taught what a special daddy they had for the short amount of time he was on this earth. I would like to thank him for serving and protecting our country above and beyond what was expected of him. I am so proud to have known him. I will be praying for his family." "I just wanted to take this oppurtunity to thank all of the people that have posted messages to myself and my family. My husband was truly the greatest man that I have ever known. I have lost my best friend. And our children 2 yr old Marlee Freedom and our 3 month old son Myles have lost their father. My husband believed so much in what he was doing that even though he almost died in OIF 1 he chose to return for his tour in OIF 3. Thank you for all of your support and prayers for all of our troops everywhere. God Bless!" "Andy will forever be remembered. He was a friend and he is now a hero. He is now shining down on his wife and children. God Bless!" "My extreme condolences to the family of Gary Eckert Jr. Me and my husband knew and worked with him at McDonald's in Waterville. To hear of his death saddens me. I will pray for his family and friends. He was a good person and had a wonderful personality. God bless him and his loved ones"
"Sergeant Eckert, goodbye soldier and thank you. You are my hero." "Hello, I am the medic attached 1st PLT, A Co 3/69 AR BN based at PB Uvanni, Iraq. I was the medic that was first on scene when "Andy", as I'm told he preferred to be called, was brought to me. His convoy came flying through our front gate and I happend to be the closest and only medic that responded that day. Andy and I never spoke that day, but I feel that he and I became very close in our time together. I really thought that he would make it, and was shocked to hear that Andy had died. I wish that I could change things, I wish that I could instantly heal someone at will. I'm so very sorry for Andy's family and friends. My deepest sympathies." "accept our deepest condolences to your family. Our son joey and four very fine men were also killed in samarra. There are not enough words to the sadness our family feels when we hear the manes of another fallen hero." Please KNOW so many people share your sadness, and we are remembering your family in your loss and your deep grief. Your HERO, Gary will be remembered by name. Our thoughts and prayers are with you. God Bless you ALWAYS. Pat & Sandi Breckenridge from Montana "
"GARY OUR FAMILY PRAYS ARE WITH YOU AND YOUR FAMILY. YOU HAVE TOUCHED THE HEART OF SO MANY.AN YOU ARE A HERO! AN YOU HAVE NOT GIVEN YOUR LIFE IN VAIN. YOU WILL NEVER BE FORGOTTEN, NEVER. THANK YOU FOR PROTECTING OUR COUNTRY AGAINST TERRORISM. WE LOST OUR SON LAST MAY. 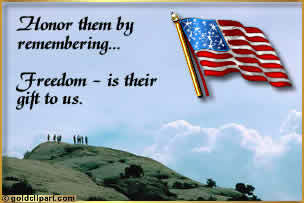 AN ALL THIS IS VERY HARD ON THE COMMUNITY, FRIENDS, NEIGHBOR'S, YOUR MILITARY FAMILY AND YOUR LOVE ONE'S. ALL WILL DEAL WITH IT IN A DIFFERENT WAY. GARY YOU ALWAYS WILL BE IN OUR HEARTS!" I never knew Andy, but I feel a certain sense of lose that soldier feels at the lose of a comrade. To say "Thank You" just does not seem enough for the ultimate sacrifice that has not only been made by Andy, by also by each and every one of you who loves him. Andy is a true hero that you all can be so proud of. It takes a special kind of man and a true soldier to overcome injuries and return to the proud duty of defending his country and it's ideals. I can not pretend to understand the lose you all feel, but I have had each and every one of you in my deepest thoughts and prayers since I learned of Andy’s death on Sunday. I pray that god will comfort you and give you strength during this time of emptiness. 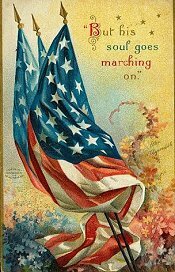 I offer my gratitude as a proud American. Secure in my way of life because of brave soldiers like Andy, who stand tall “against all enemies, foreign and domestic”. Andy, you will never be forgotten in the heart and mind of this thankful and appreciative citizen of this great land we call the United States of America. God Bless America and the Eckert Family. "Thank you Gary Eckert, Jr., you will not be forgotten. Your bravery goes beyond words. I want to express my deepest gratitude for your sacrifice. To the family and friends, my prayers and deep condolences in your loss. May God strengthen you from knowing that fellow Americans and people around the world care about you and grieve with you in your loss. God bless you all. A very appreciative fellow American,"